Whiteknights Yorkshire Blood Bikes are delighted to launch “Ivanhoe” – a BMW R1200RTP to the Whiteknights Fleet. 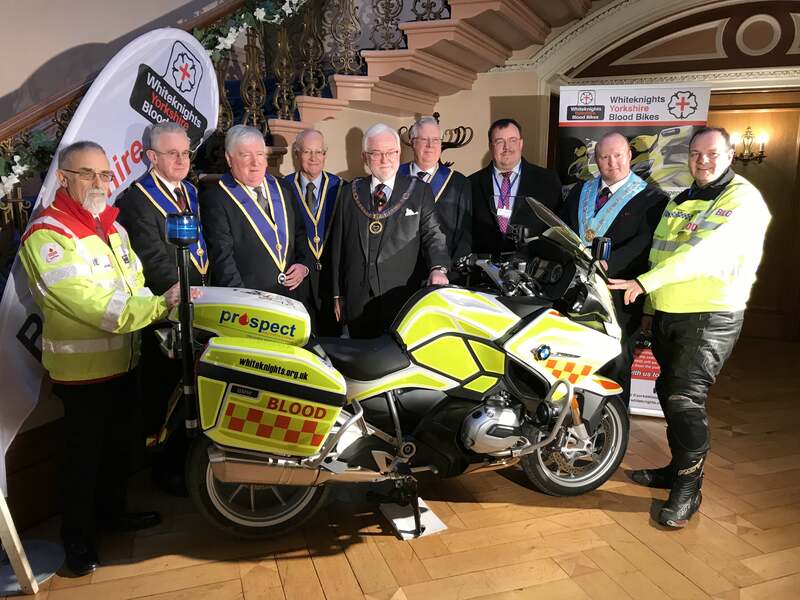 At a launch event at Tapton Hall in Sheffield, the Trustees of Ivanhoe Lodge formally handed over the keys and released, “Ivanhoe,” into South Yorkshire operational Blood Bike service. It forms part of a total donation totalling £30,000 to run and maintain the machine for the next three years. Our sincere thanks to the Trustees of Ivanhoe Lodge for supporting Whiteknights Yorkshire Blood Bikes in this way.